Do you remember taking a shower and realizing just how great the water feels against your skin? With soothing water going down your back, through your hair and down towards your legs... no doubt a moment of clarity will hit you of how good a shower is. This won't be something that happens frequently that 's for sure, but one thing that CAN happen frequently is knowing when the water pressure of your shower is low. When you stand there and realized "the water output is pathetic", you know there has to be something that changes. What I've done here is put together a complete guide to explain to you what are some ways that YOU can do to increase water pressure in shower. These methods will vary in skill level, so where one could take just minutes, the other could take much longer (but it usually is dependent on your handyman skill level). 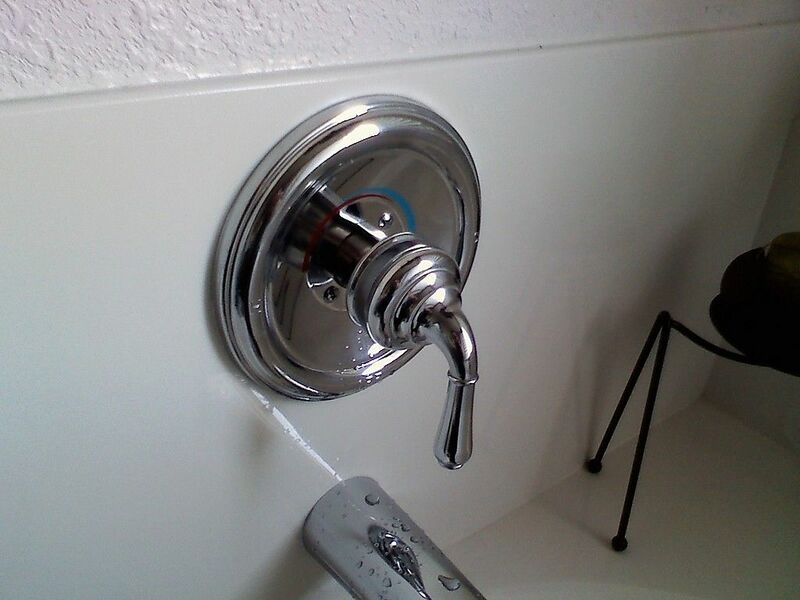 First let's figure where your shower is having low pressure, is it from the actual shower head or from the shower faucet. The difference between the two could mean spending less than an hour fixing the issue, or spending at least a few hours fixing the issue. Let's get into it! Step one, remove your shower head and test for flow rate. Remove your existing shower head and place an empty ONE gallon jug over the tap, get a timer and turn the water on to see how fast it fills up. For example, if the jug fulls up in 30 seconds, it means you have a flow rate of 2 gallons per minute (30 seconds x 2 = 2 full ONE gallon jugs). Step two, screw back on your shower head and test for flow rate. This method may be a bit more difficult because typically shower heads spray in all directions. An easy way around that is to simple take a big bowl or a five gallon bucket, place it over the shower head, turn it on and start the time. This time after one minute, turn the water off and measure how much you captured. Using the one gallon jug (empty it out), pour everything you captured inside the one gallon jug and see if it matches the first tests calculation. You are technically supposed to get the same water output or less when comparing the two tests. *NOTE: use a marker to place markings on the jug to compare results from these two tests. 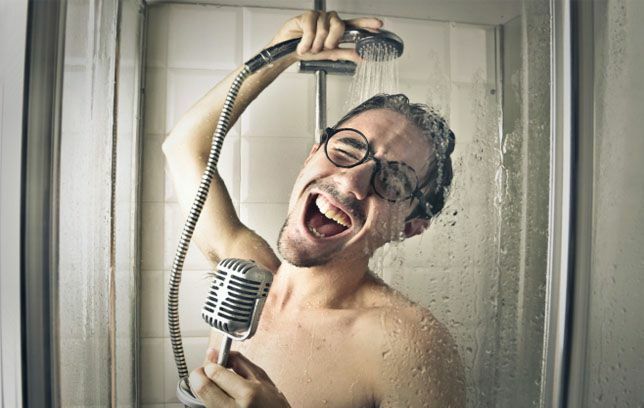 Based on the test you've done above, you should of gotten either an identical result from both tests OR, the second test provided you with far lower results meaning that your BOTTLENECK is the actual shower head, in this case... lets tackle all things associated when your shower head is the problem. 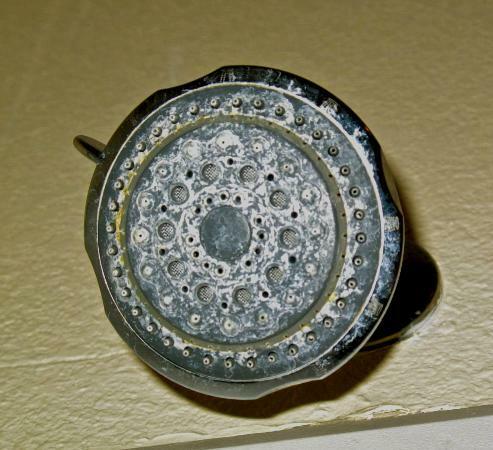 Depending on how long you had your shower head, it will determine if there is any serious mineral build-up. You can usually see right away a shower head that has this type of problem, in which case I recommend you get some vinegar and soak the entire shower head in it. Try to get the vinegar inside the shower head so it can eat up all the minerals. 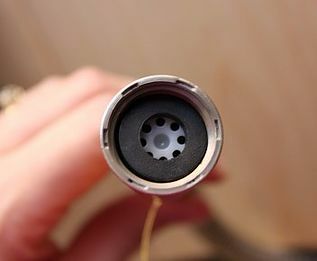 Where necessary, use a soft brush (a tooth brush would do) to clean nozzles and inlet where you screw your shower head on. When you are done, screw it back on and see if that makes a noticeable difference. 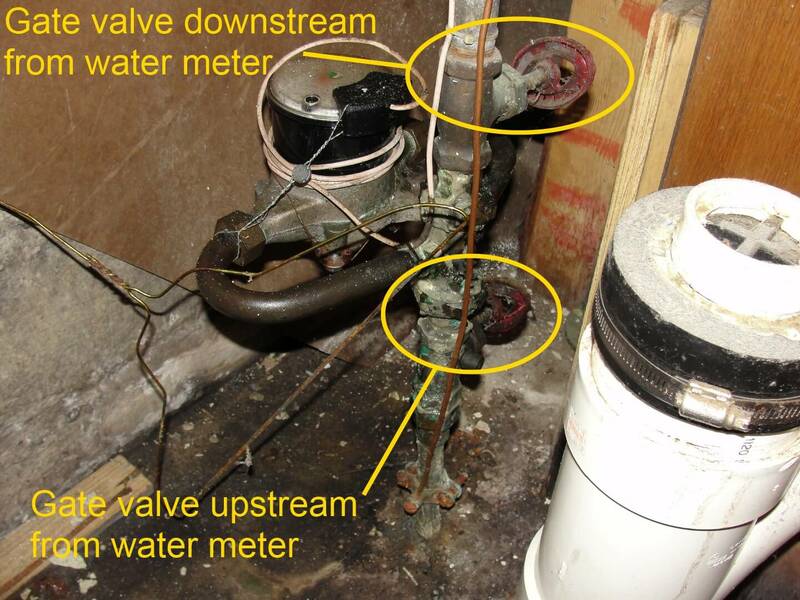 This one is much easier to check, many times being the difference between economical (low) flow and pressure that is at maximum rate to match your entire homes water pressure. To do this, unscrew your shower head and check in the area where the threads are. Typically there's a rubber gasket you can remove with a sharp object or a pair of pliers. Once that is done, there should be a plastic piece that is sometimes colored. See if that part is removable, if so, place the rubber gasket back in and screw your shower head back on to see the results. If you see and feel a noticeable difference in pressure, consider your job done. Especially when your first test was higher than the second test, consider finding your shower head for one that has MUCH greater flow rate. Typically, I recommend looking into ones that have 2.0+ GPM rating but 2.5 to ensure you get the full flow rate. Now this method will take considerably more effort (in most cases) to implement. 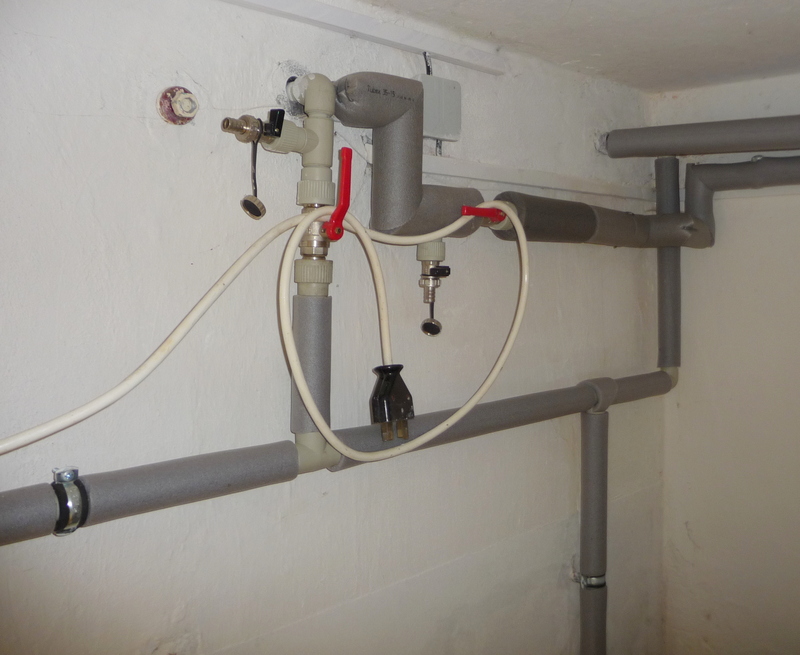 What you first need to do is located by your home (usually near the front of your home) cover where there's a water meter and a shut off valve. Depending on whether there has been any major construction projects done recently, the companies may of turned down your water pressure for that purpose. If possible to access this area, try to se if the shut off valve is turned all the way on towards the counter clock wise position. *WARNING: This is usually not allowed, so contacting your local water company with assistance would be a better idea. Similar to the curb side main we mentioned earlier, this one here is the primary main that controls the flow of water into your home. Where you can usually find it is underneath the floor of your first story, in the basement, or somewhere behind your home (on the side sometimes). Locate the valve, and see if it has any room to be turned counter clockwise to release more pressure. Once you do this, go ahead and check the water flow from your shower head. Was there a previous owner to your home? If the answer is yes, typically past owners to save money would end up turning down the water pressure. This would apply whether they lived in the home themselves OR, they rented it out to others. You use this valve all the time, to turn the water on, off, hot and cold. Usually the other bottleneck could be this area as well. The easy way to fix this is to simply replace the entire valve. While being rather pricey and complicated, replacing it could fix your low flowing issue once and for all. If you read this entire blog post, it is very likely that you want to improve your showers water pressure. I recommend you implement each thing, one at a time. After performing each change, try to see the difference it made. In some instances a single minor change can make the biggest difference, making everything else that you planned to do completely unnecessary. If you enjoyed reading this guide on how to increase water pressure in your shower, please consider sharing it below with anyone you think would find it useful. Also, ShoweringCenter.com has many more articles and guides to educate you on whatever thing you want, feel free to explore!